Ever wonder how they make sushi? Now is your chance to learn. 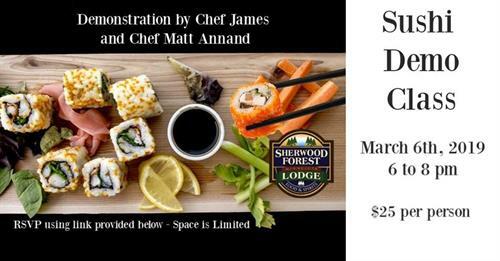 Led by Chef Matt Annand and Sherwood's Head Chef James Blahut, you will be shown how to make and have a chance to taste delicious sushi.